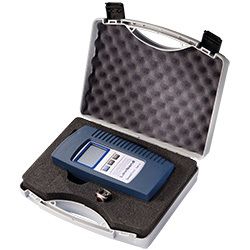 The salt meter Salt 110 is designed for the quick measurement of the salanity level up to 10% (weight). With the protective cover, the salt meter Salt 110 is largely protected from the impact of damage and pollution. If used with the splash-proof keypad, the salt meter Salt 110 is suitable for an outdoor-application under all weather-conditions as well. 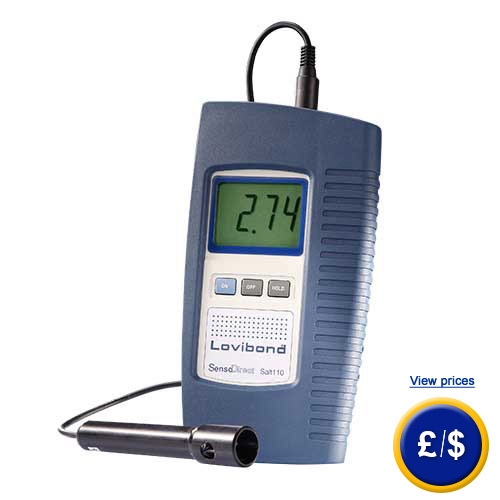 The oversized LCD screen with 21.5 mm height of the salt meter Salt 110 provides a safe reading of the measured value. A built-in temperature sensor probe allows automatic temperature compensation in the salt knife Salt 110th. The application spectrum of the salt meter Salt 110 includes swimming pools, aquariums, fish farms, water treatment, the food and beverage industry and laboratories in photo, paper, and electroforming technologies. If you have further questions about the salt meter salt 110, please refer to the following technical data or use our contact form. Our technicians and engineers will be pleased to inform you concerning the salt meter Salt 110 or any other product in terms of regulation and control, or scales and balances of PCE Instruments. Here you will find an overview of all our salt meters. in Turkish in Polish in Russian in Dutch and in Portuguese .